Tom Kurtz – Kurtz Electric, Inc. 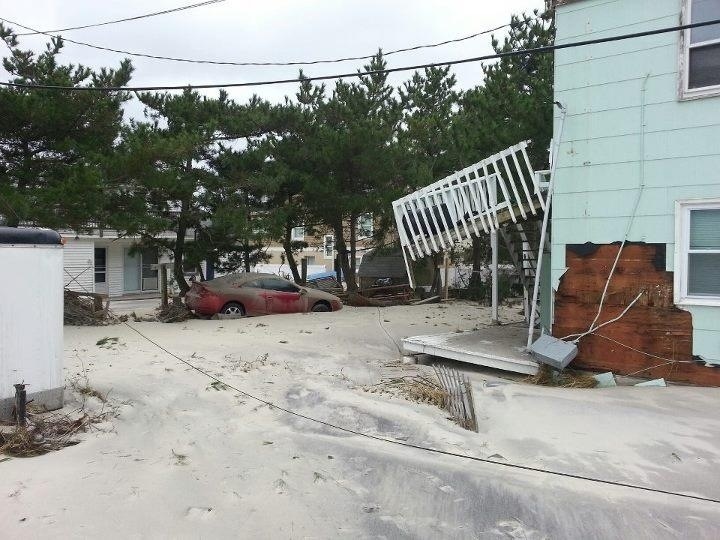 This electrical service was destroyed by Superstorm Sandy. 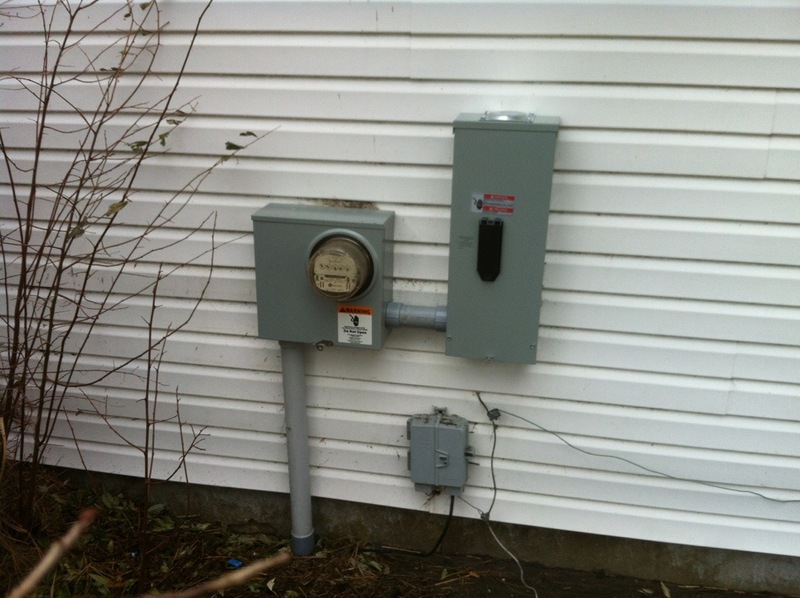 Kurtz Electric has replaced the service and restored power for at this home. Now this homeowner can move forward with repairs to other parts of the home. 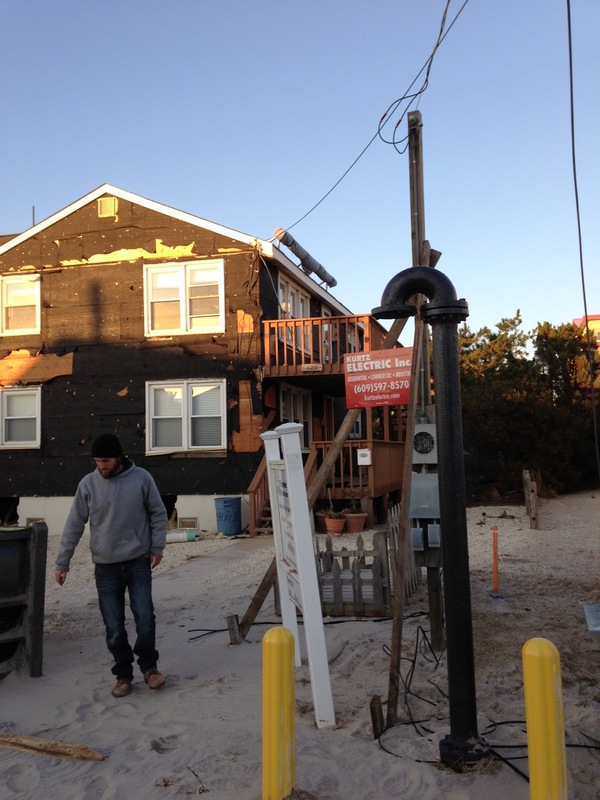 This temporary pole is still standing in Ship Bottom after Superstorm Sandy passed through Long Beach Island. It is hooked up and has power. If your meter socket, electrical baseboard heaters or any other electrical equipment was submerged during the storm surges, we can inspect, test and repair (if necessary) for you. Call us to set up an estimate. Our electricians are already working in effected areas to repair damaged electrical equipment and complete safety inspections. As a New Jersey Licensed Electrical Contractor, we can help you get power back on in your home so you can move forward with other repairs. 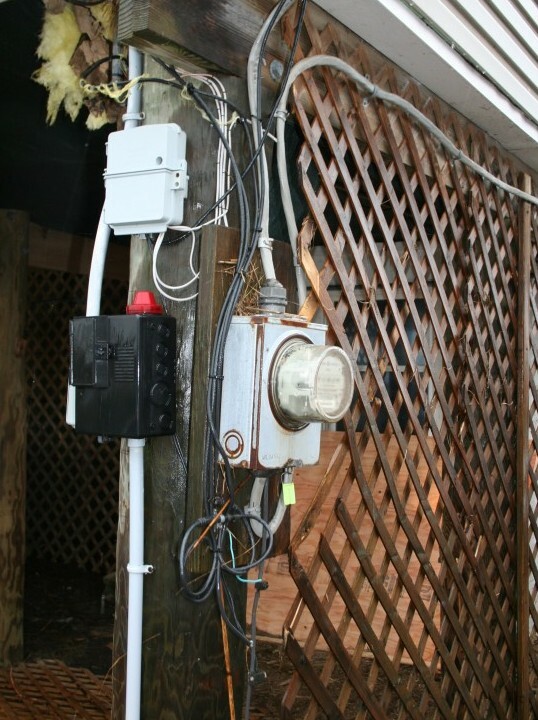 The power company cannot repair your home’s meter socket or restore service until it has been repaired and inspected. If you have storm damage to any of your home’s electrical systems, please contact as soon as possible to set up an estimate. Comments Off on Deck Those Halls! Think a ceiling fan is just a decoration in a room? Think again. In the warm months, a ceiling fan can make you feel more comfortable just by moving the air around. That comfortable breeze may keep you from turning the air conditioning on for a few more days; saving precious energy. Once its hot enough to turn the AC on as well, your ceiling fans can help your system work more efficiently by keeping air circulating. But don’t turn those fans off in the cooler months. A ceiling fan can help your heating system in the same way. When turning in the correct direction, your fan will push rising warm air back down to your usable living space. Ceiling fans come in a variety of designs to compliment any decor. Many also offer lighting options to add some illumination as well as comfort to your rooms. Feeling a little sluggish? Coffee not helping? Maybe you need to upgrade your electrical service. Your electrical service serves as the link between the public utility company and the power in your home. 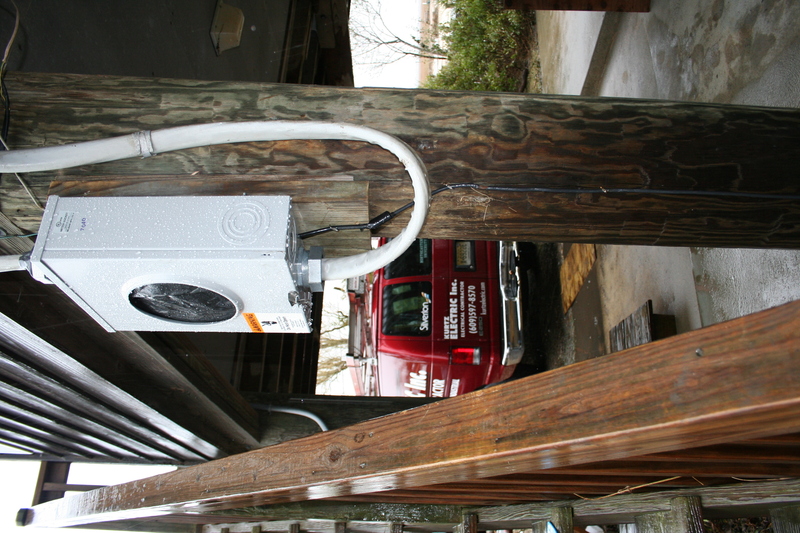 Imagine your electrical service as a water pipe coming to your home and all your outlets and lights as faucets. If you opened all the faucets and the main pipe wasn’t big enough, you would have a little dribble of water at each faucet, instead of a full flow. By increasing the size of pipe coming, you allow more flow at each faucet. With water, its easier to see when you’re not getting enough flow – water pressure is slow or uneven. With electricity, a weak flow may not be so obvious. Do your breakers often trip? Can you run your hair dryer while someone else is using that bath fan? Is your electrical panel full of breakers with no room for expansion? 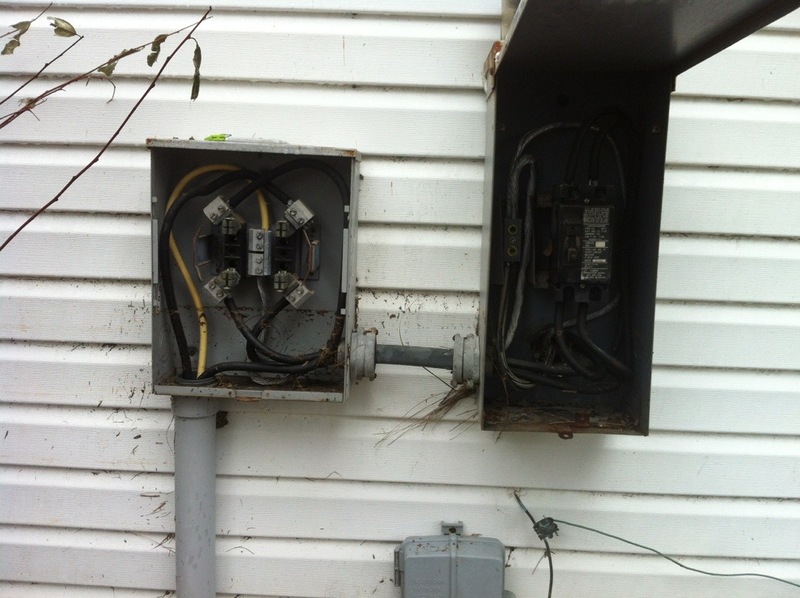 These may be signs that your electrical service is not supplying your household’s electrical needs. Your service needs to be sized according to how many receptacles, lights and other electrical equipment that will or could be used at any time. An experienced electrician can help you determine if your electrical service needs to be upgraded. Kurtz Electric, Inc. | Powered by Mantra & WordPress.